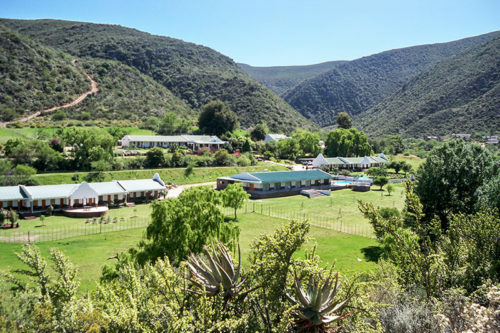 Located with the backdrop of the Swartberg Mountains, Oude Meul is en route to the Cango Caves. The property features 2 pools among extensive native gardens. 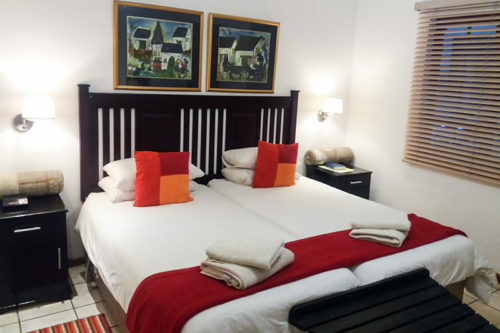 Apartments at De Oude Meul Country Lodge open on to furnished verandas overlooking the natural surroundings. 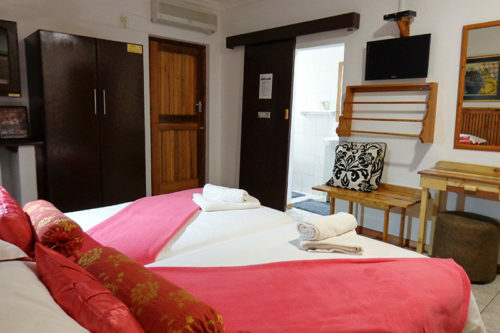 They are all air conditioned, provide free Wi-Fi access and private entrance. 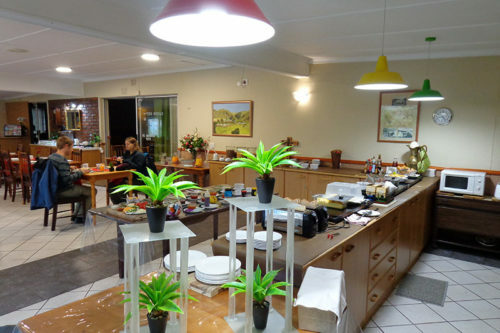 Guests will enjoy the hotel’s restaurant, set on the banks of the Grobbelaars River and serving local specialties, including a wide variety of venison. 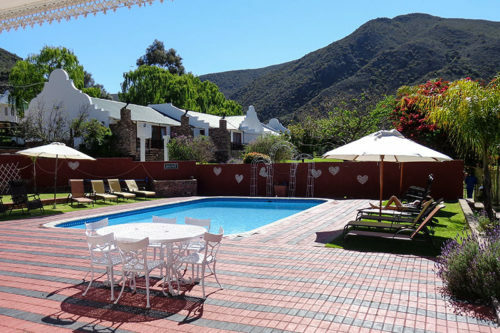 BBQ facilities are also located outdoor on verandas and in the gardens.